Richard and Kim Hill have been involved in design for quite some time. What started out as a business for web design in 2007, Karsun Designs has grown to include photography as well. 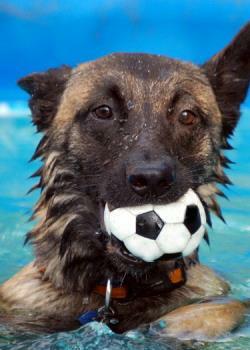 The photo you see above is of our Belgian Malinois, Blitz. It won first prize in the Pet Armor photo contest and is a staff favorite at Jones Soda. Blitz was also in USA Today. We also have photos featured in PhotoBotos and won an international pinup magazine full page ad at PinUp America as well as having a photo in Inked Magazine. We are in Exalte Magazine and are now official photographers for Delicious Dolls Magazine and Fashion Bombshell Magazine where you are guaranteed to be published in a national magazine if you book with us. We were also recently invited to join Project Weather which posts photos on weather apps. Our artwork is featured locally at SSR Auto Restorations, Moondrifter Condominiums, Crawdad's Restaurant, and Applebee's in Panama City, Florida. We are the Business of the Month at Cadence Bank. You can see us at various Art Exhibits at the Palms Conference Center sponsored by Beach Art Group and the art gallery at Kulture9. You can see some of our photos on 27 Photos of the Florida Panhandle That Will Make You Want to Move There and on Boredom Kicker. We were also featured on ViewBug's homepage and the 2015 and 2016 Carpe Diem calendar. You can find one of our abandoned photos at Only in Your State and our Belgian Malinois, Donner on various sites including MSN. We have an entire article on Bored Panda from our visit to the Lower Ninth Ward. Many photographers charge outrageous prices and while our work is top notch, we realize that sometimes you need a break. We are willing to work within your budget and help you get the photos you need at a price you can afford. Karsun Designs Photography provides Panama City Photography at a rate you can afford and with financing options securely through PayPal, financing is available. Call (850) 319-6012 today to set up an appointment.